From ancient times people have understood the importance of a good digestive system and healthy digestion. As the philosopher Jean Jacques Rousseau rightly said, “A good bank account, a good cook, and a good digestion.” How right he is. One can have all the riches in the world, and all the good things that money can buy, but if their digestion is not good, it can take all the joy out of life. The digestive system is one of the most sensitive parts of our body. That’s why it’s very sensitive to the modern fast-paced life we live, and also to the unhealthy, easily available foods that we eat every day. As we cannot personally change the pace of the world, it makes sense for us to consume foods that promote digestion. Good digestive fire helps your stomach secrete acid to help break down foods and facilitate the action of digestive enzymes secreted by your pancreas and intestines. It stimulates your liver and gallbladder, producing bile to digest fat more efficiently and better absorb fat-soluble vitamins. All these biological processes can be boosted by putting together a plan, including easy-to-digest foods and foods that promote optimal digestion. Some raw foods have enzymes in them. These are foods like fresh picked greens, salad, arugula, spinach and other foods that you can consume without cooking. Another very digestion-friendly food is pineapple. It is rich in an enzyme (bromelain) that not only helps fight inflammation, but also helps thin the mucous secretions important for breaking down your food. Now, I’m not advocating for everyone to go on a raw diet. Just remember to add a dash of raw vegetables, fruits and greens to your cooked meals. Most people think that meat is not good for digestion. But that is completely untrue. To stimulate the production of acid and enzymes, you need to eat foods that are rich in protein. Specifically animal protein. Which is why I encourage people to invest in good proteins like grass-fed beef, free-range chicken, pork, eggs and fish. 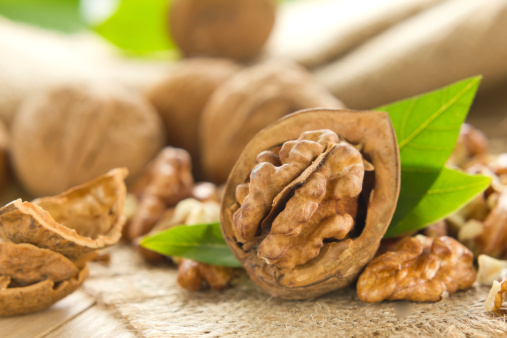 Healthy, raw fats are not only important for digestion, they have the added advantage of not making you fat. These fats stimulate the healthy functioning of your pancreas, gall bladder and liver, and they also help efficiently convert beta-carotene into vitamin A.
Vitamin A is absolutely essential to having a healthy mucosal lining throughout your gastrointestinal (GI) tract. Avocados contain plenty of healthy, raw monounsaturated fat. Other sources of healthy fats are nuts, seeds and raw olives. Now we know that when we eat fats, bile rushes out from the gall bladder to help digest them. This bile is formed in the liver. Bitter and astringent foods support the process of optimal bile production in the liver. A lot of herbs and spices we use fall into this category. Astringent-rich foods are green apples, grapes, bay leaf, pomegranate, blueberries, rosemary, and one of the things most people throw away – the white peel inside citrus fruits. The bitter foods are ginger, kale, collard greens, mustard, cumin, sesame, licorice, bitter gourd and my favorite – dark chocolate. Probiotics are living organisms – bacteria, fungi and yeast that line our intestinal tract. Probiotics work by repopulating the gut with good bacteria. They also strengthen the gut and help fight off pathogens and toxins. 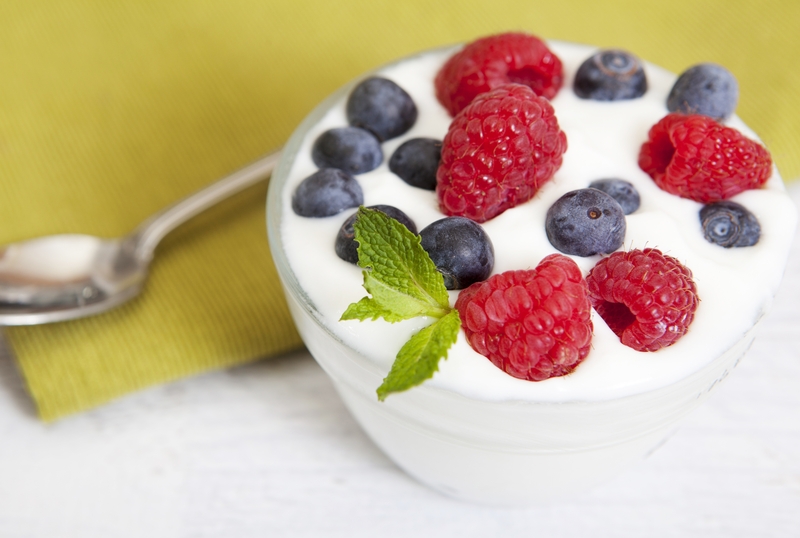 For most people, probiotics come from either yogurt or the probiotic pills they buy in the supermarket. But there is a lot of probiotic-rich food out there. Kefir, for one, is a unique cultured dairy product that is one of the most probiotic-rich foods on the planet. Kefir is similar to yogurt, but because it is fermented with yeast and more bacteria, the final product is higher in probiotics. In case you want a dairy-free option, there is Coconut Kefir. It has some of the same probiotics as dairy kefir but is typically not as high in probiotics. Still, it has several strains that are great for your health. Coconut kefir has a terrific flavor and you can add a bit of stevia, water and lime juice to it to make a great-tasting drink. Other probiotic-rich foods are miso, tempeh, sourdough bread, pickles fermented in salt (not vinegar) and fermented soft cheeses like Gouda. Cheese may also act as a carrier for probiotics, which may boost the immune system. Then you have kimchi and sauerkraut. Both are also loaded with immune-boosting vitamins that may help ward off infection. Raw sauerkraut, especially eaten a few minutes before a meal, can naturally boost your digestion. Fiber is the paradox in the digestion process, because although it is indigestible, you cannot have proper digestion without it. You see, fiber does four important things – it increases food bulk, it slows movement of food through the intestines, it increases the mixing of digestive enzymes with food and, most importantly, it helps the food have more contact with the walls of the intestines where nutrients are absorbed. Goods sources of fiber include sweet potatoes, raspberries, bananas, dates, avocados, artichokes, lentils, almonds, flaxseed and bran. It is important to remember that as refining removes most of a food’s fiber, it’s better to consume unrefined or less-refined foods like whole grains and unpeeled fruits. Remember, more fiber means more time in the intestines, and more time for foods to be digested and nutrients to be absorbed. The topic of fiber brings me to my last category of digestion-friendly foods. The thing is, fiber can’t function properly without water, which is why a high-fiber diet demands adequate fluid intake. Water is essential to the metabolic process and helps move food material through your digestive tract. 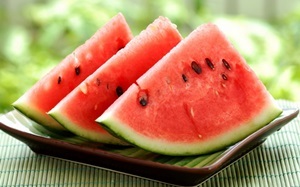 Another significant advantage of foods rich in water is that you’ll feel full without adding too many calories. Melons, citrus fruits, berries, tomatoes, radishes, cucumbers, leafy greens, eggplants and zucchini all contain more than 90 percent of their weight in water, so make sure you plan your meals with them. 1. Chew your food well. While digestive enzymes can break down the microscopic structure of food, they will have very limited effects if the food is in large chunks. 2. Avoid antacids before meals. In fact, taking a bit of vinegar – like apple cider vinegar – before or with your meal may help maintain a better acid level in your gastrointestinal tract. 3. Eat in moderation. If you eat in excess, only the easily broken-down nutrients, such as sugars and fats, may be absorbed. While all three tips are crucial, the last one is especially so. Remember, you eat to live, not the other way around.